Another queen butterfly on a milkweed flower. I took this butterfly photo in my moms yard. 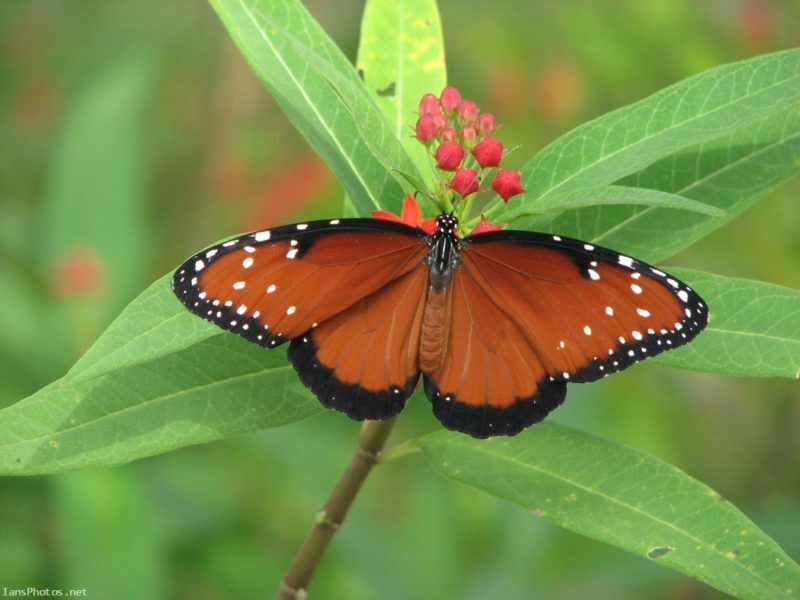 She has the milkweed plants to attract the butterflies so the chances are if you are there then you will see butterflies. Why do I like photographing butterflies? Because the colors are so vivid and their design is so perfect. If you can get a photo of a butterfly on a flower then it’s a bonus, two in one. Photo by Ian Sands taken in LaBelle, Florida.